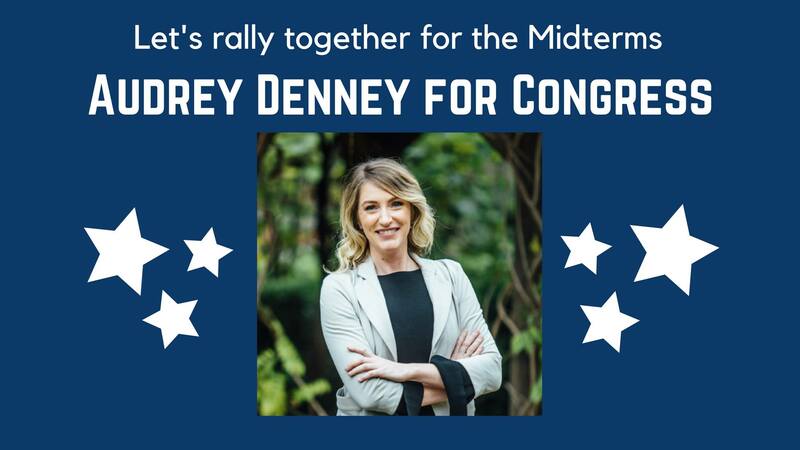 NEVADA COUNTY DEMOCRATIC CENTRAL COMMITTEE AUDREY DENNEY ROCKS! Candidate for Congressional District 1 Audrey Denney knocks my sox off. Inspired and inspiring, her passion for the wellbeing of Californians and for all domestic and wild living things is akin to a divine calling. She’s firmly grounded in science as a college teacher of modern agriculture methods. Not as young as she looks, this accomplished woman brings vast experience to the job, having worked in Africa and South America. She is a director of a human rights organization and designs curricula for worldwide agricultural organizations. As a Democrat, Denney is all about fairness and the big ethical issues – ones with broad and far-reaching consequences, including the health of our life-support system (environment), equal access to education and healthcare, veterans’ services, infrastructure for water, transportation, and communication, and, of course, jobs. Denny is a worthy contender for Congress against LaMalfa, who I hear refuses to face her in the League of Women Voters’ September forums at Nevada County’s Rood Center. More about her and her issues at www.AudreyforCongress.com.